Get the highly rated glass Ello 20 oz. 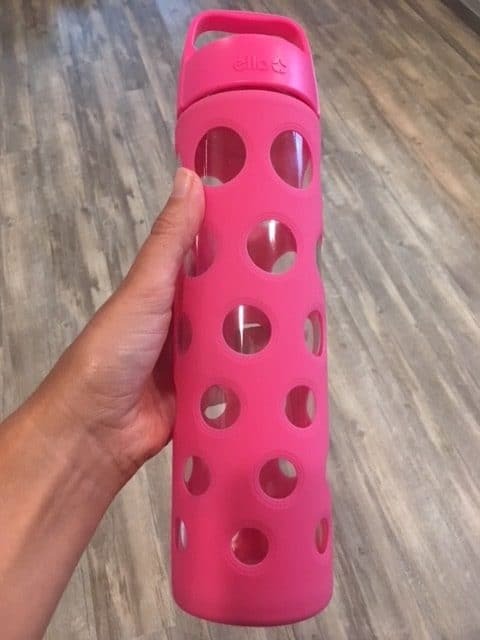 water bottles with silicone sleeves for just $7.85 when you choose the Pink Fizz color on Amazon! I have several of these Ello water bottles and love that they are larger (20 oz. vs. 16 oz.) and way less than other glass water bottles with sleeves, which normally sell for $20 or more. You can also score an awesome deal on the Blue Squares color, just $7.56!